The stage is set for autumn and while you’d expect everyone to stick to jewel tones, Shraddha Kapoor went ahead and surprised us all. 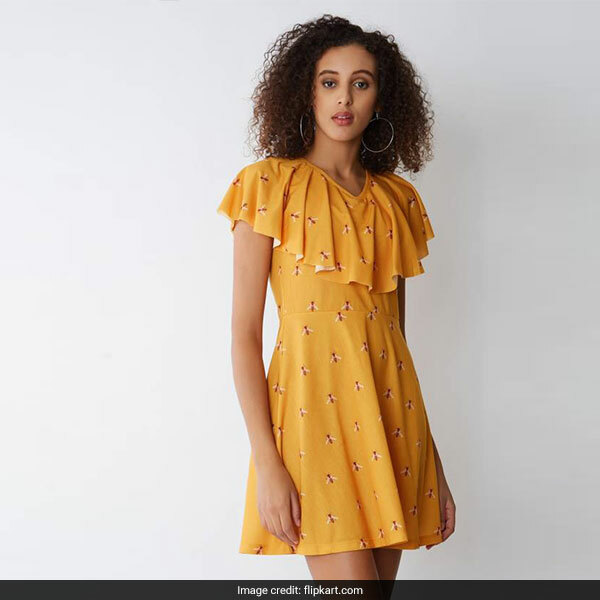 The Bollywood star was spotted wearing a belted yellow print dress from Global Desi paired with black lace-up heels, a handbag and sunglasses. With its summery shade, it definitely stands apart from the sea of maroons and emeralds this season. If you’d like to steal Shraddha’s sunny style, try one of these 4 dresses. 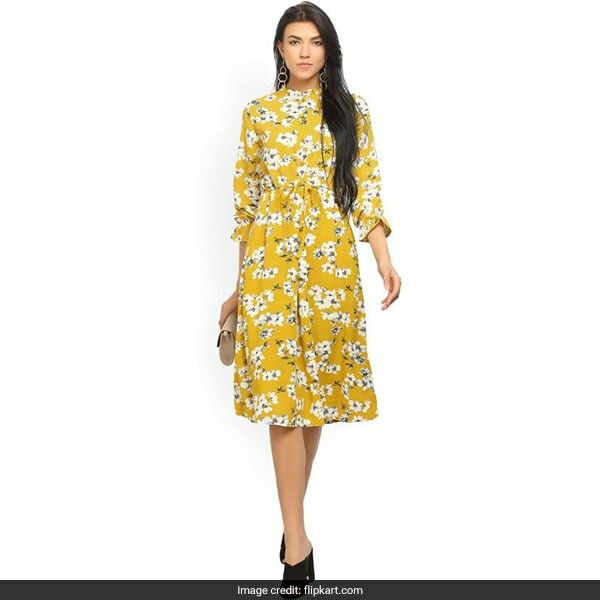 Be your own sunshine when you step into office with the Tokyo Talkies Yellow Dress. The shirt styled dress has a high neck, tied waist and button-down detail for a comfortable work look. It is available for Rs 870 from Rs 2749. If it’s a party you’re heading to, slip into the Provogue Sheath Dress. The mini dress has a delightful ruffled neckline and flared fit for plenty of volume. It is available for Rs 637 from Rs 1599. 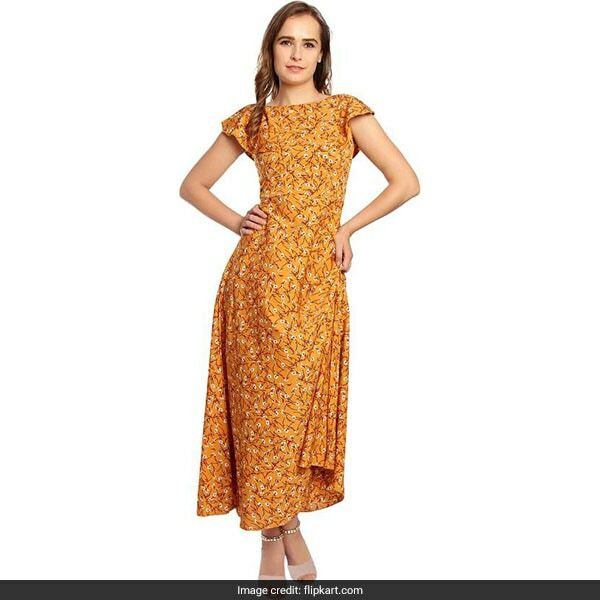 The Lady Stark Yellow Maxi has a fitted form with cap sleeves and a unique dipped back detail with a white and brown print. Modest yet stylish, it’s ideal for a day out with your friends. It is available for Rs 678 from Rs 2799. 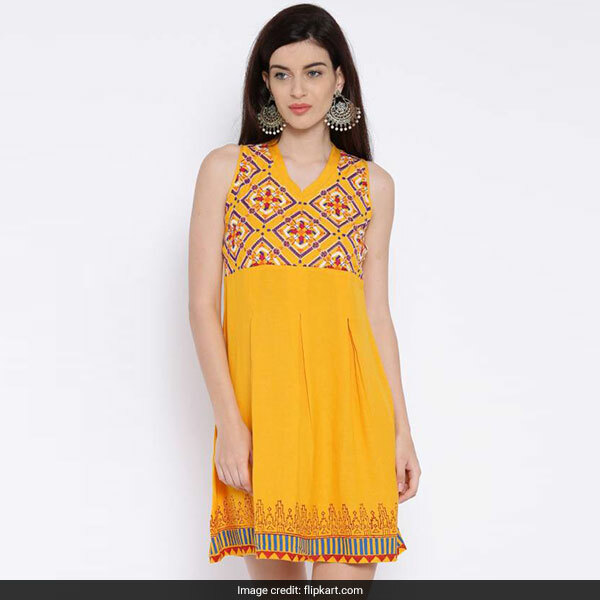 Go Indo-western with the Global Desi Yellow Dress. With a printed neckline and hem, it’s ideal to wear alone with juttis or even paired with palazzos. It is available for Rs 2069 from Rs 2299. How will you be wearing this summery shade like Shraddha Kapoor? Tell us in the comments.